Sony sells PS3 slims for $40 loss. 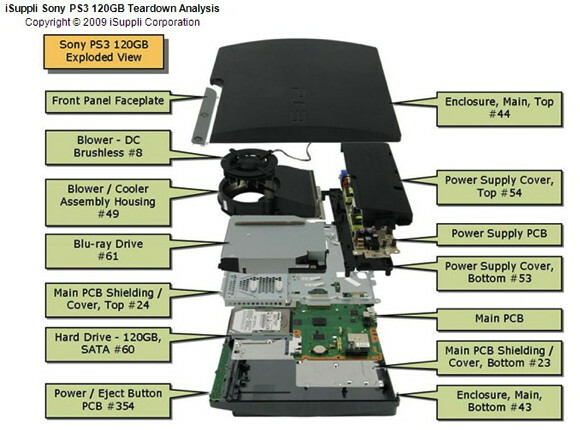 The single most expensive component to the system is still Sony's proprietary Blu-ray disc drive, which is estimated to cost about $66 to make. Other components have dropped significantly in price thanks to a switch from 65nm conductors to 45nm. The end result is a far more power-efficient system that requires less power and cooling technologies. "In light of these factors, the PlayStation 3 probably is already at or near the tipping point for profitability," iSuppli's Andrew Rassweiler added. So, if for some reason you need Sony Corp to lose money, you better rush and buy a PS3 now before they make those things profitable!